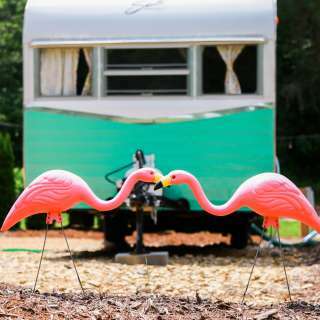 JuneBug Retro Resort is a 50 acre property located 12 minutes north of downtown Asheville, NC and is home to several restored 1950s campers that can be rented while visiting the mountains. The property has been meticulously designed to make guests feel like they have been transported back in time. Nestled into a private valley along side a 1/2 mile of river, there are no modern structures visible. Across the river from the vintage campers you will find one of the oldest organic farms in western NC and the JuneBug event center. JuneBug is designed to be the ultimate event space for weddings (of up to 300 attendees), family reunions, corporate retreats, or boutique concerts (up to 3,000 attendees). We are open to other options please call to discuss. 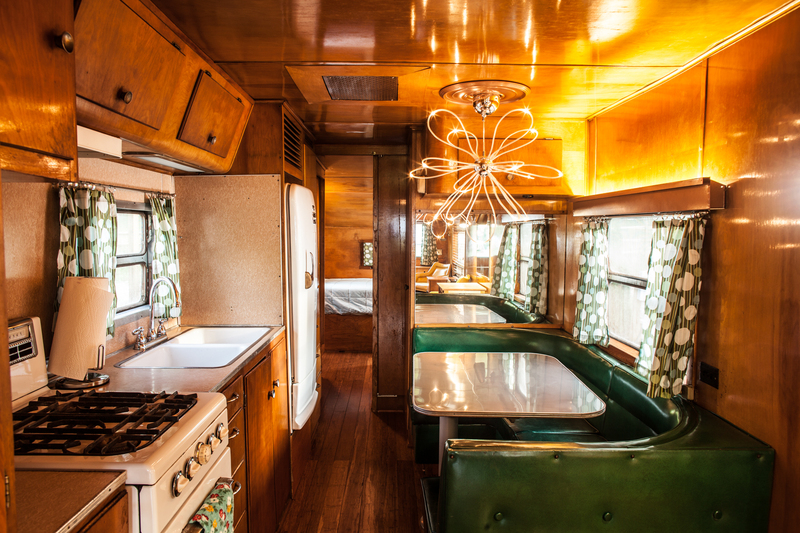 Our fleet of vintage campers have been meticulously restored to maximize comfort of our guests. Each camper is equipped with air conditioning, a bathroom, refrigerator, hot/cold water etc. Additionally there are tent camping sites throughout the property that can be utilized for events when all campers have been reserved.